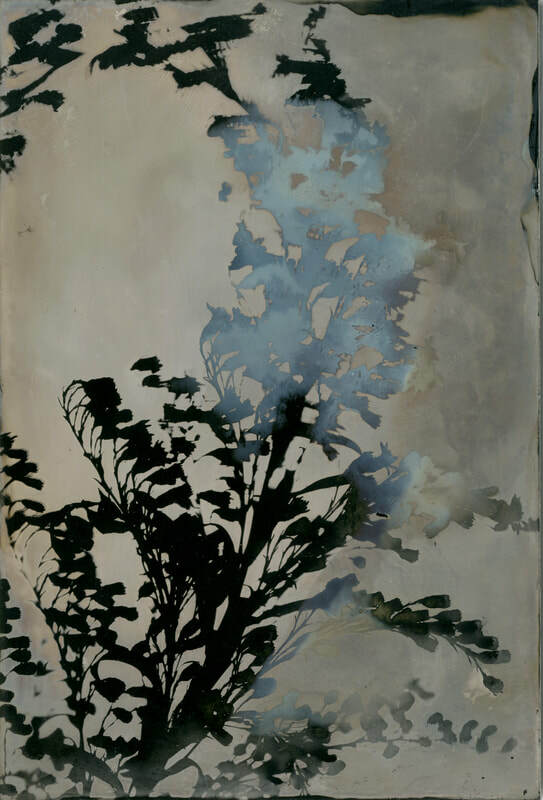 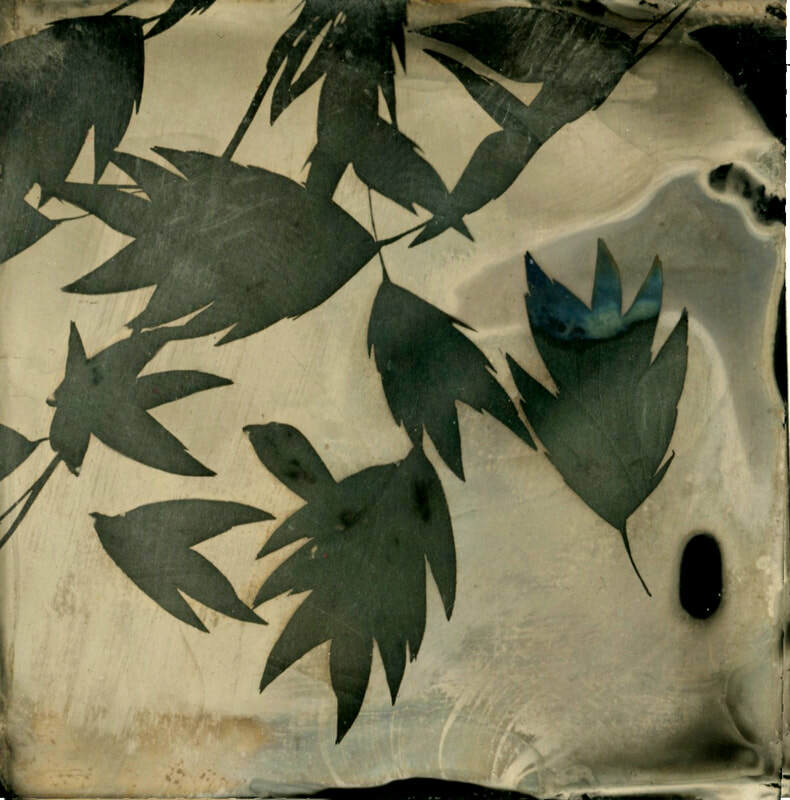 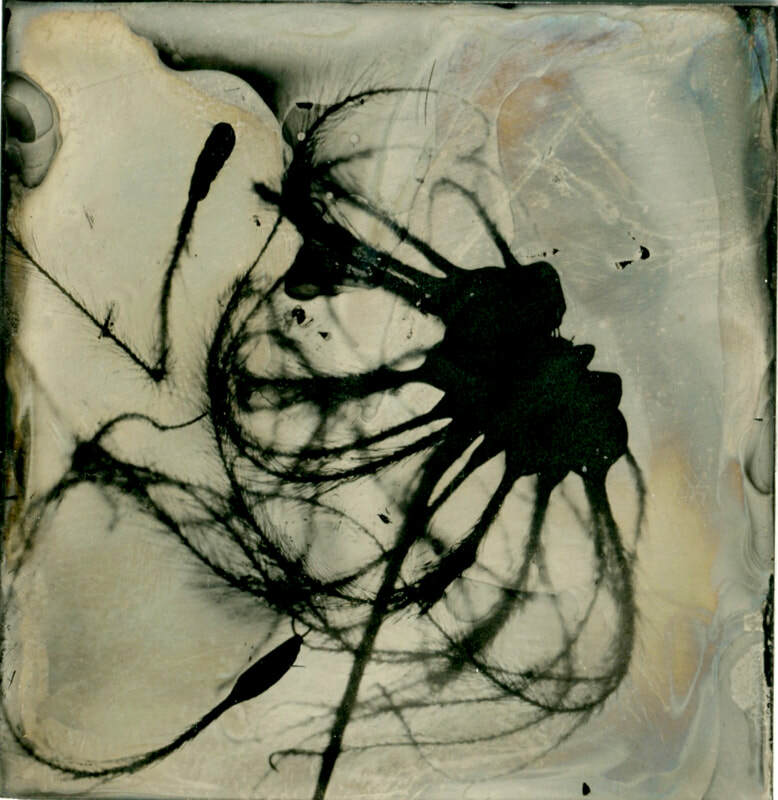 The collodion skin used in tin-type photography forms a photographic positive when placed on darkened metal if sensitized, exposed and developed. 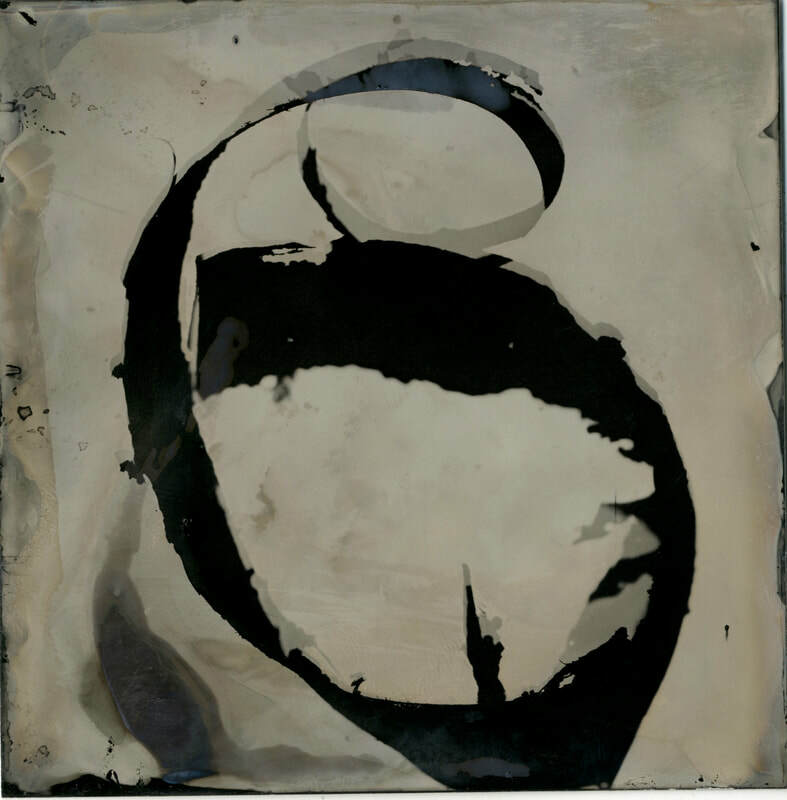 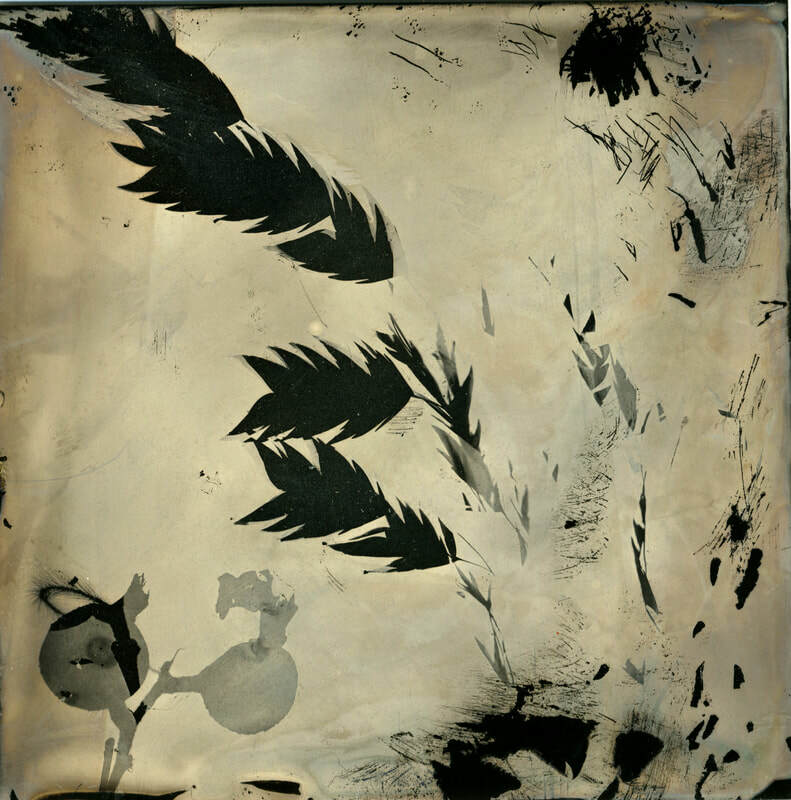 Creating wet-plate photographs is an ethereal process in every sense of the word -collodion uses a quickly evaporating ether alcohol mixture as its base. 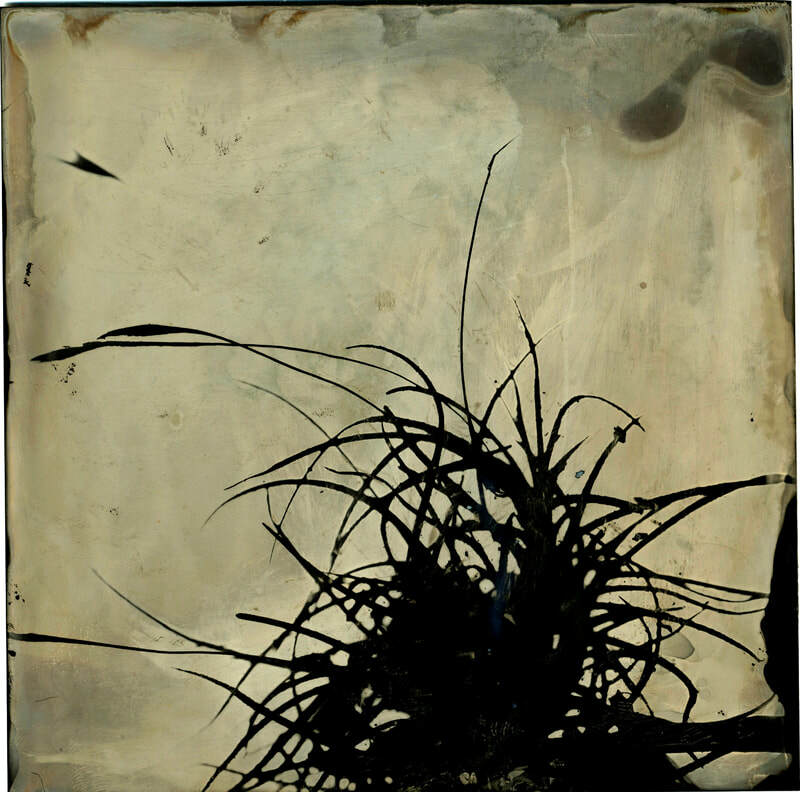 One one must balance materials in a sort of dance to evenly coat plates of metal or glass using surface tension. 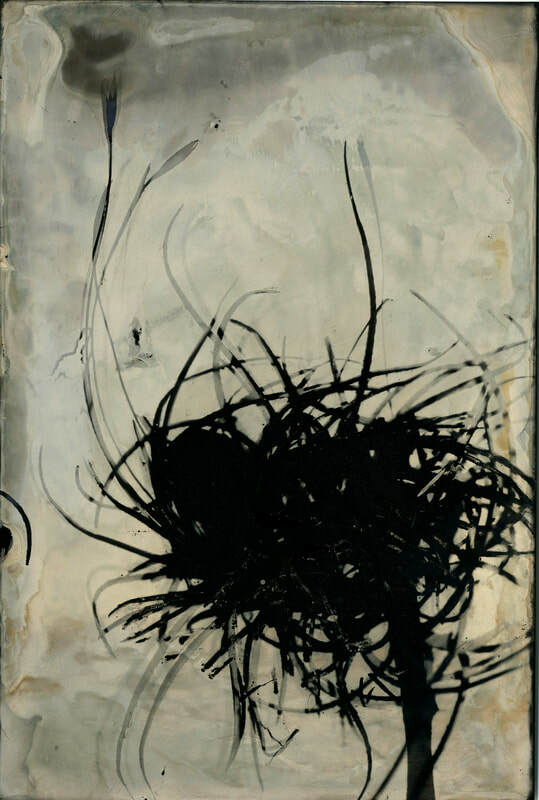 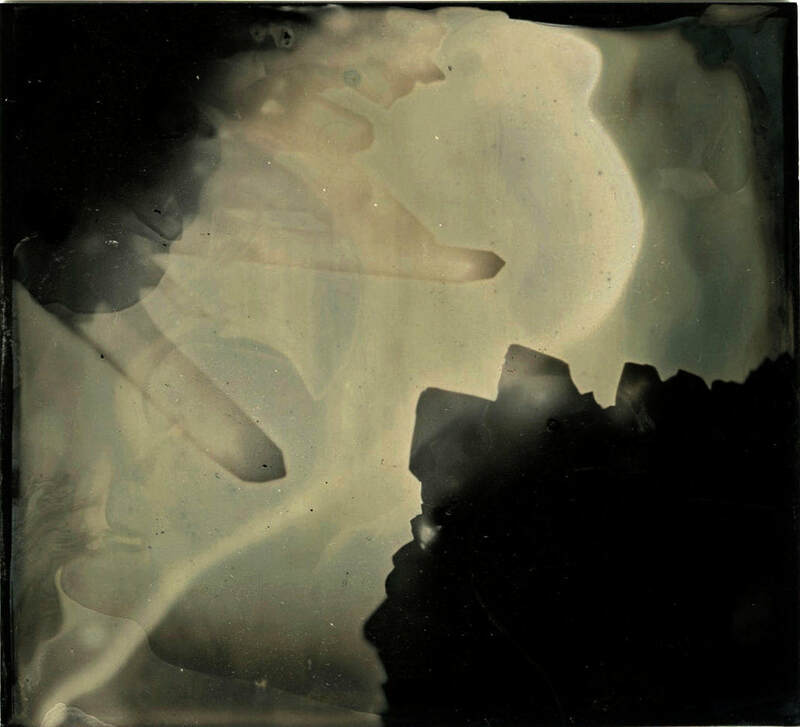 Collodion, initially developed as a kind of liquid bandage around the time of the American Civil War, has been alternately called nitrocellulose, "gun cotton" and "flashpaper," the latter being a variant used by magicians, capitalizing on its property of extreme combustibility. 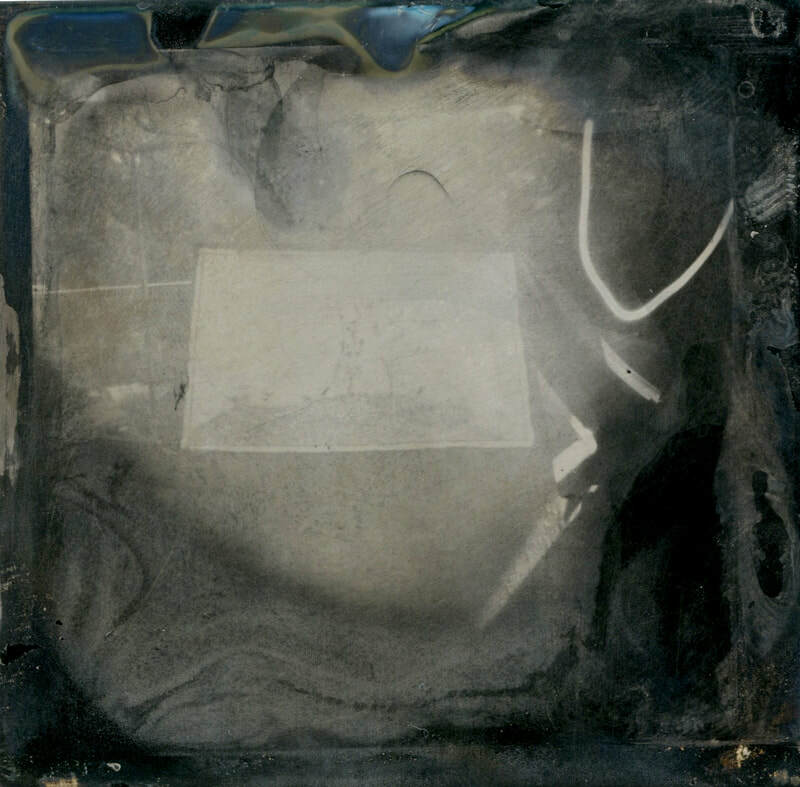 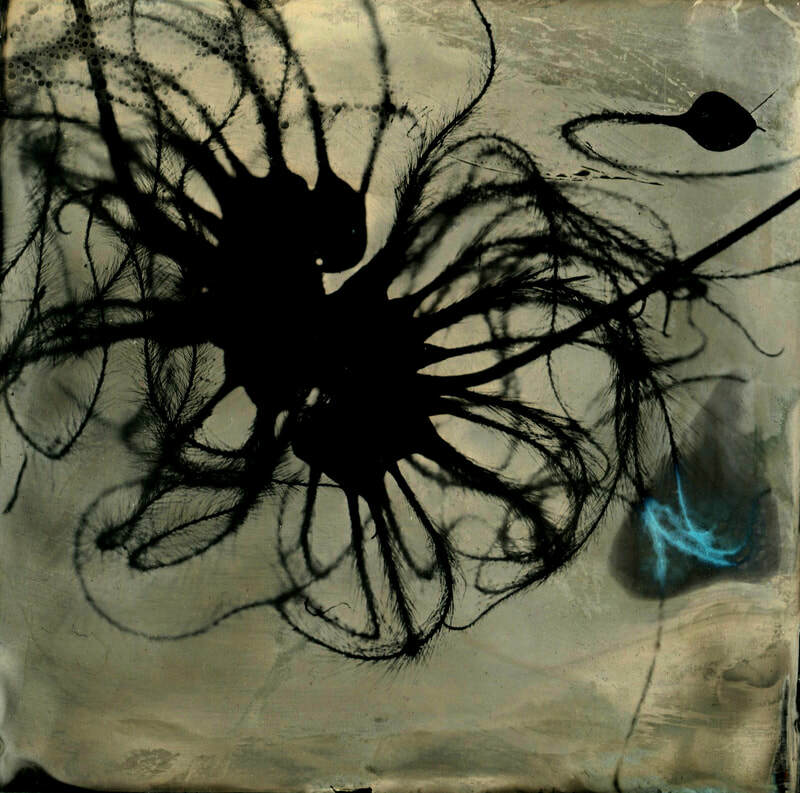 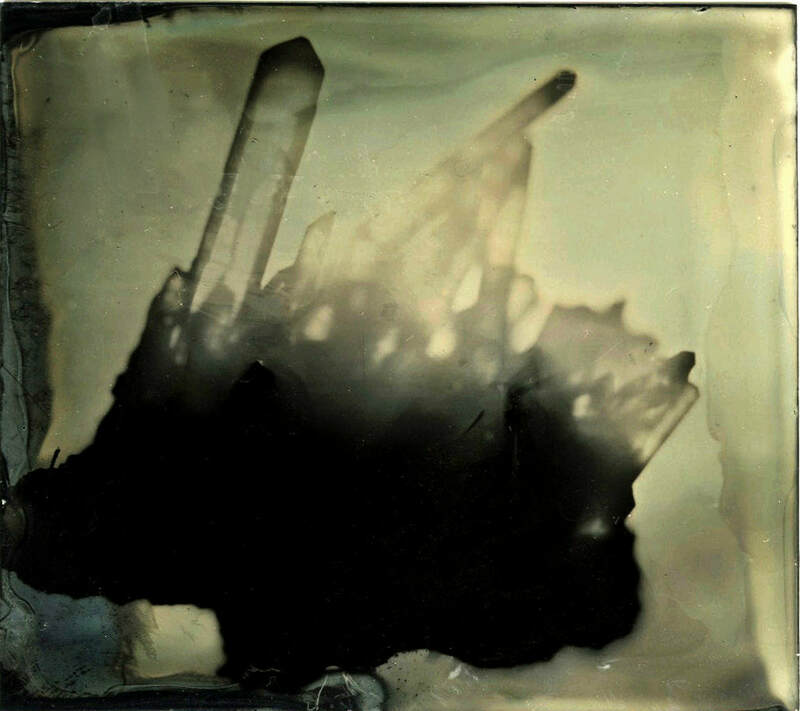 This series' title Flashpaper Haikus refers to the magic wet-plate holds for me (both in terms of process and aesthetics) as well as the rapid-fire, simple and joyful compositions made with either toy cameras or as photograms in this group of small-scale, ethereal images.